Cover: (1/1974) picture sleeve front and back. 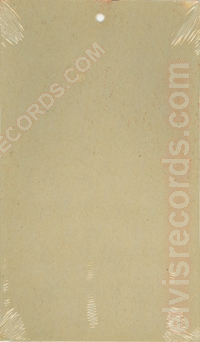 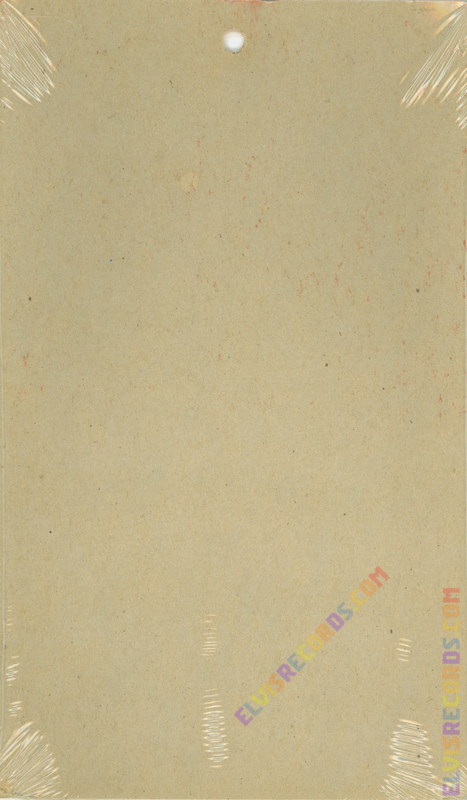 Disc: (1/1974) Tan label, NOT FOR SALE. 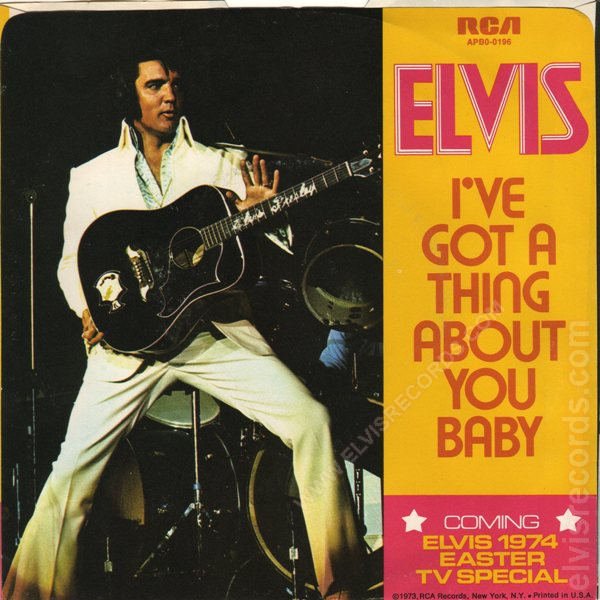 I'VE GOT A THING ABOUT YOU BABY does not contain Tennessee as part of the publishing company. Disc: (1/1974) Orange label. 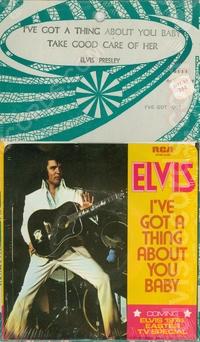 I'VE GOT A THING ABOUT YOU BABY does not contain Tennessee as part of the publishing company. 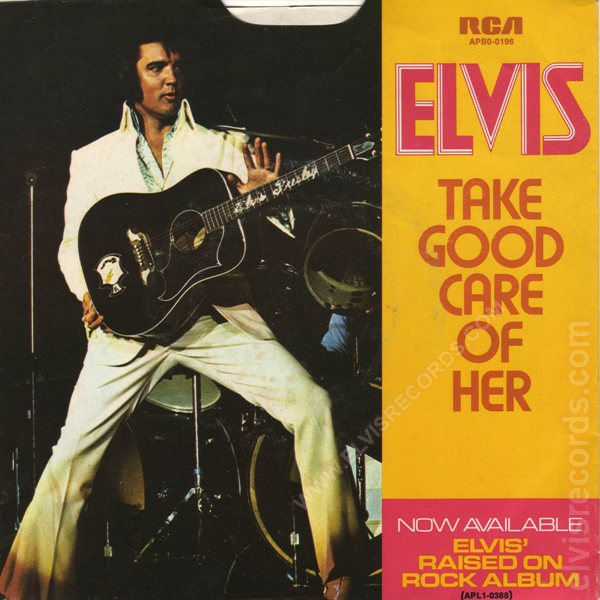 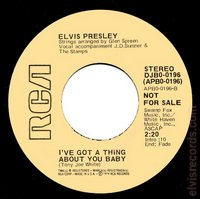 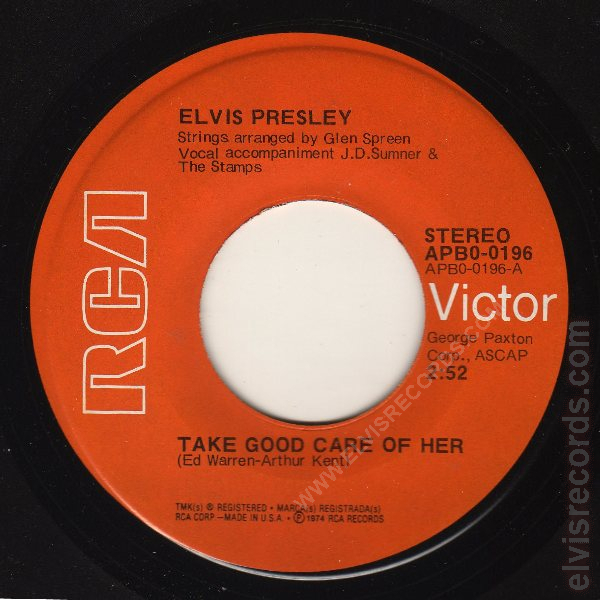 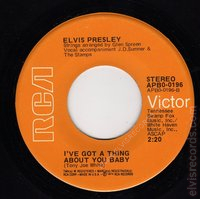 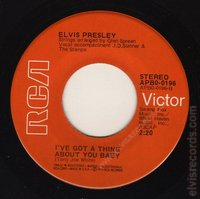 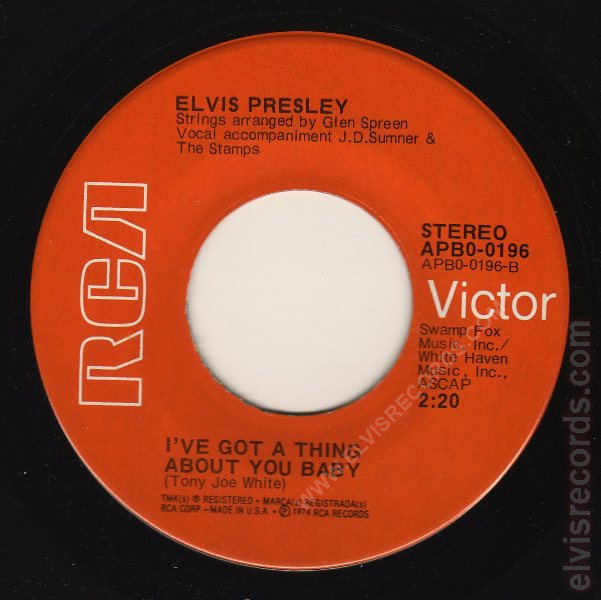 Re-released by RCA Records on 45 RPM as Take Good Care of Her / I've Got a Thing About You Baby on the Gold Standard Series label.